My name is Végvári Tamás. I have paddled in South-America, Fireland, in the fjords of Norway, in Nepal, and all around Europe’s whitewaters. I’m planning to go on a long trip. Starting from Budapest, kayaking along the river Danube to the Black sea. Then continuing via Mediterrarian sea, along the Atlantic coast as far as to the northernmost point of Europe, across Norway. 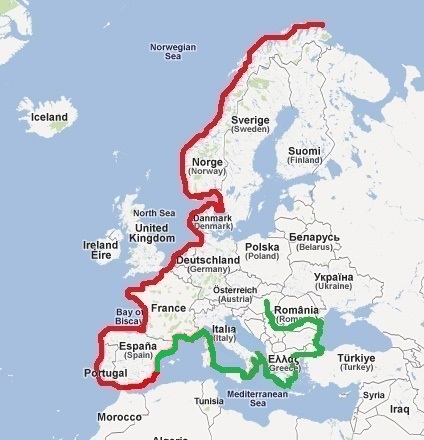 25.000 km around Europe with kayak. All alone. Of course it is a gigantic task, which requires proper respect and takes several years. It is like halfway around the Earth. It is a big challenge. It’s realization requires persistence and support. What have I done yet? I completed the last part of this Year. 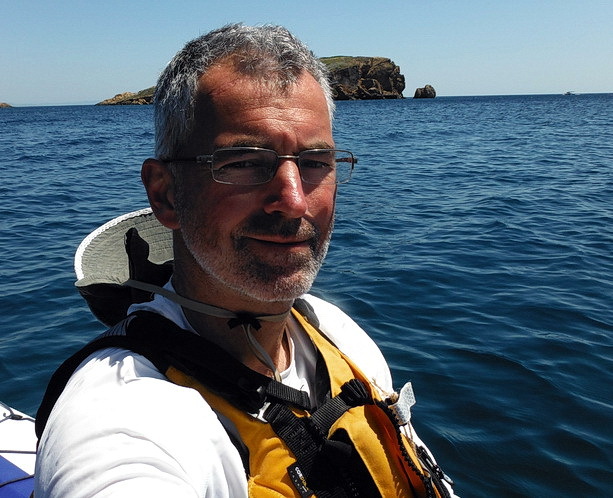 177 days, 7.800 km from Budapest to Canet d’en Berenguer. I am very happy, satisfied and of course tired. You can see my current position here.